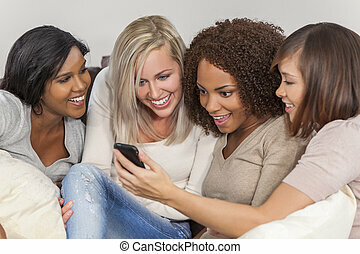 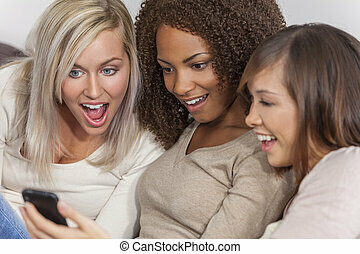 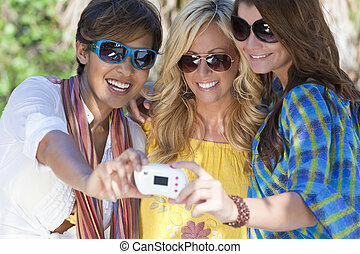 Four young women friends having fun using a laptop computer. 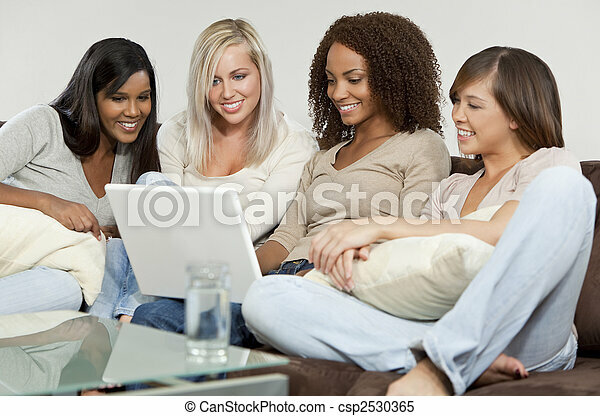 Four mixed race girls, one african american, one indian, one asian and one caucasian all having fun using a white laptop computer. 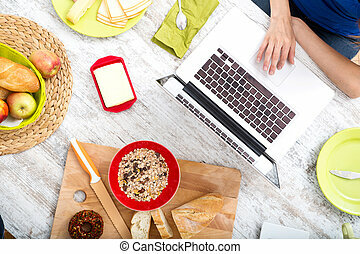 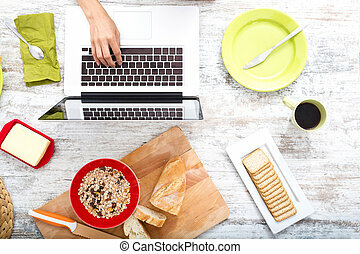 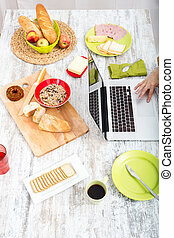 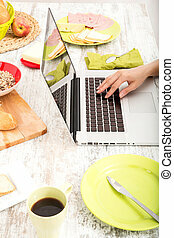 A young woman having breakfast while using a laptop computer. 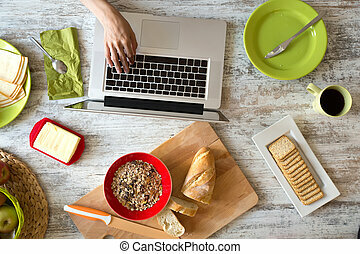 A young woman using a laptop computer after having breakfast. 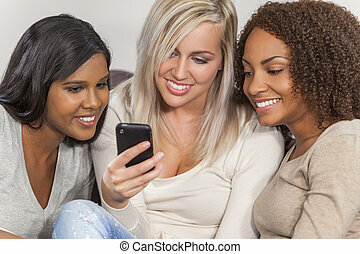 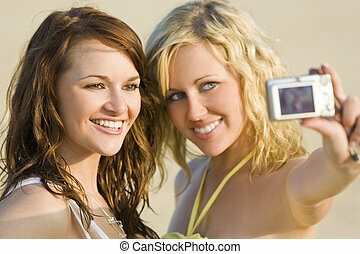 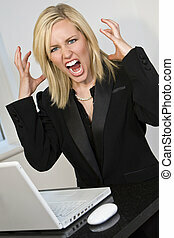 Two beautiful young women using a laptop computer to surf the web. 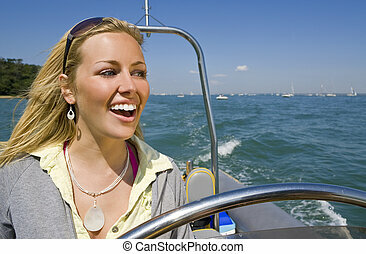 A stunningly beautiful young woman driving a powerboat and having fun in a beautiful sun drenched coastal location. 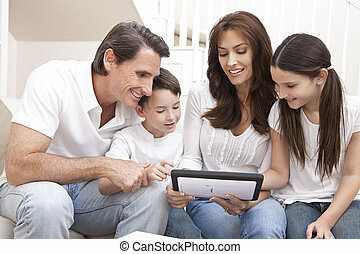 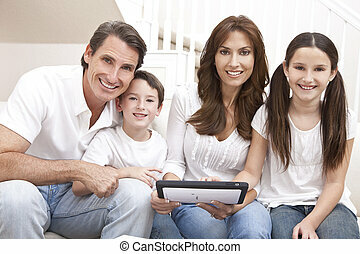 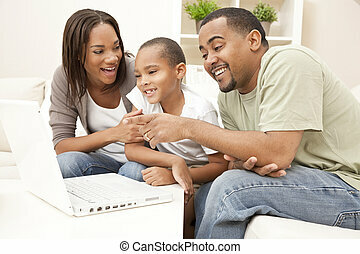 Happy family, parents, son and daughter, having fun using laptop computer together at home on a sofa.